We believe your engagement period, wedding day, and marriage should be enjoyable. It's easy to forget that your engagement should consist of more than mere planning. Your engagement period is probably one of the most missed and forgotten times, simply because planning takes over. Too often, couples miss out on this essential moment, because they're already living in the wonder of their wedding. We believe you deserve to experience ease. Have help with vendor research, meeting scheduling, and contract negotiation. Our goal is to give you the ease and confidence you're searching for. Do you imagine your wedding filled with fresh florals and delicate blooms that add life, vibrancy, and that extra touch? Florals can elevate the wedding experience. 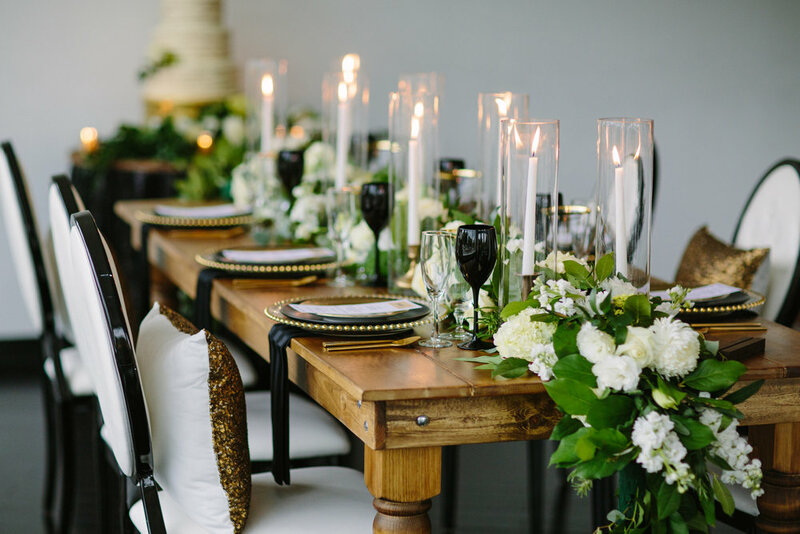 Elegant lights steal your gaze, chic drapery makes you catch your breath, and perfectly-placed table settings keep your fingers moving across every ornate piece. These ladies were exceptional when planning our wedding. I couldn’t ask for a more perfect night. Sign up below to receive exclusive content from our desk to yours.